Product prices and availability are accurate as of 2019-04-02 11:10:12 EDT and are subject to change. Any price and availability information displayed on http://www.amazon.com/ at the time of purchase will apply to the purchase of this product. The female to female RJ45 ethernet lan cable coupler is used to turn the standard CAT5/5e/6 patch cord into the waterproof type for the ethernet connecting in the harsh industrial or outdoor environments. A gasket seal provides optimum protection from moisture and other contaminants with an IP67 rating. Using the standards based RJ45 connection system insures compatibility with existing hardware. The shielded coupler maintains the shield continuity offering protection from EMI/RFI interference. 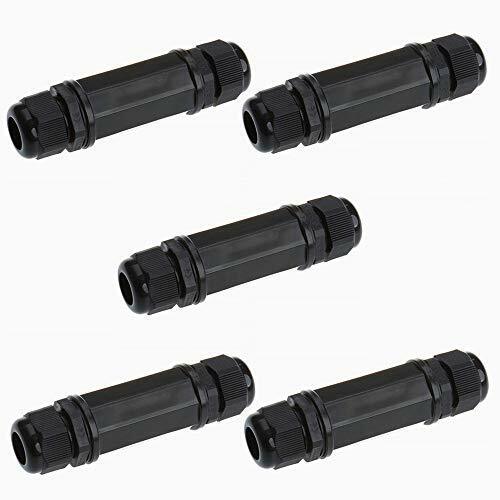 The Waterproof RJ45 Connector are IP 67 Compliant. Prevented from temporary immersion for 30 min in 1 meter depth of water. Prevent the network parts from moisture, dirt and insects for quality connections. Waterproof RJ45 connector, IP67 waterproof grade. This section suitable for harsh industrial or outdoor environments. 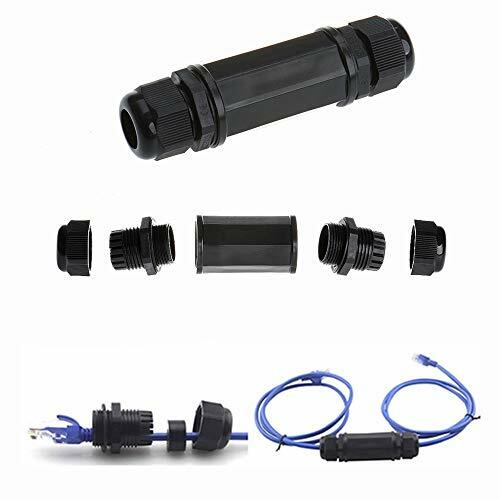 Easy to use,no need any tools installation RJ45 thread can be directly inserted through the waterproof connectors. 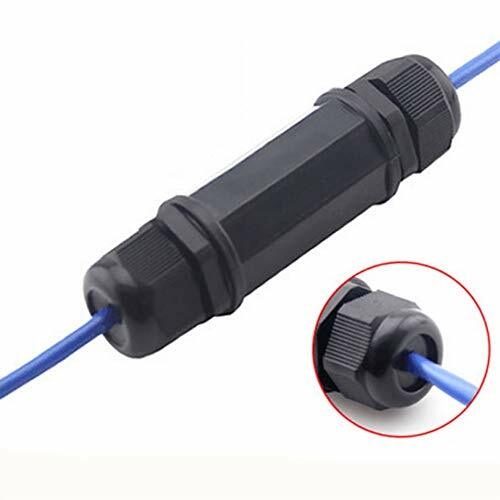 Shielded RJ45 female to female field installable coupler, Metal shield protection structure, Super durable and strong anti-interference ability, No attenuation, more stable signal trasmission. It is Miniaturization, and save installation space. Can be used as a cable extension cable.